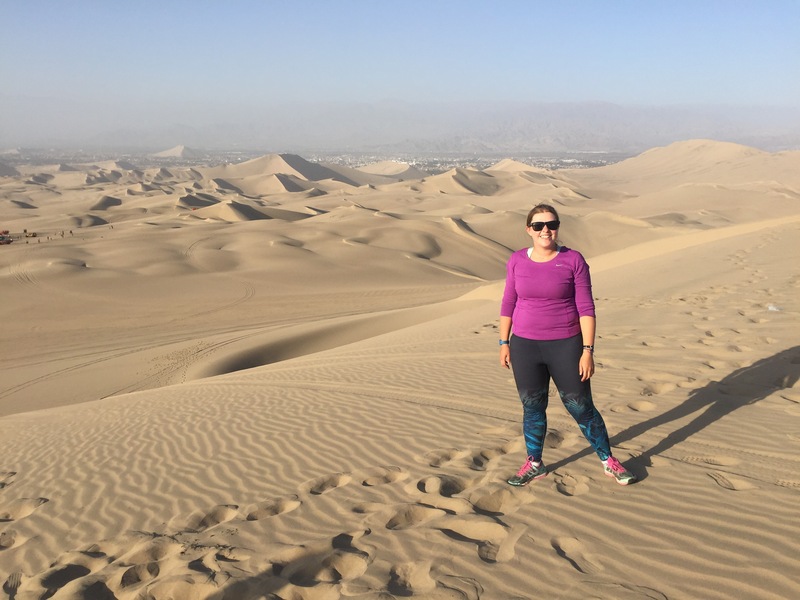 I’d never been to a desert before and to be honest I didn’t realise there was so much desert in Peru. But there is, in fact Nasca’s highest sand dune is taller than England’s tallest mountain! 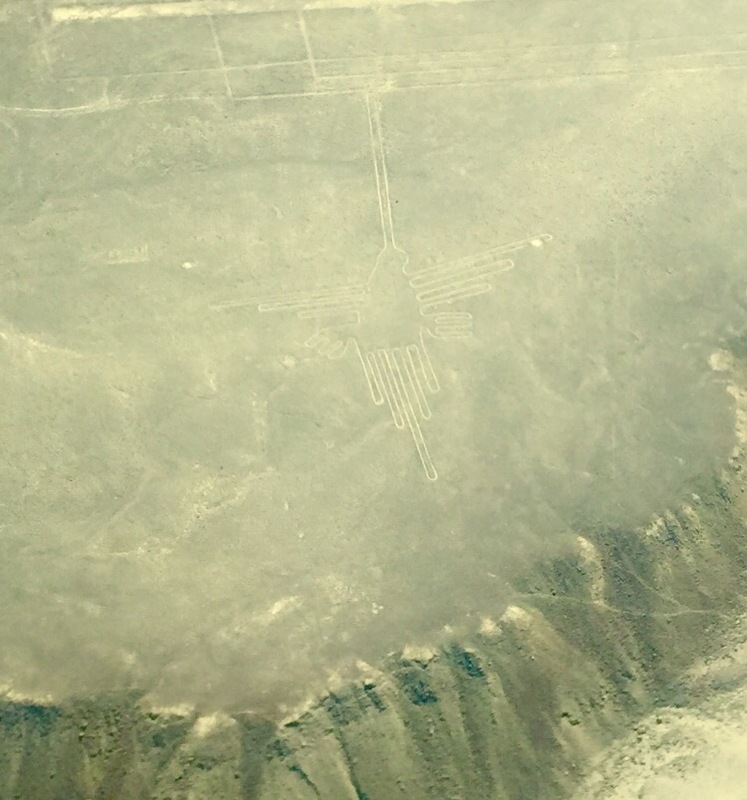 I’m going to spell Nasca as the locals do in Spanish instead of with a ‘z’ as English speaking countries do – just in case you were wondering. 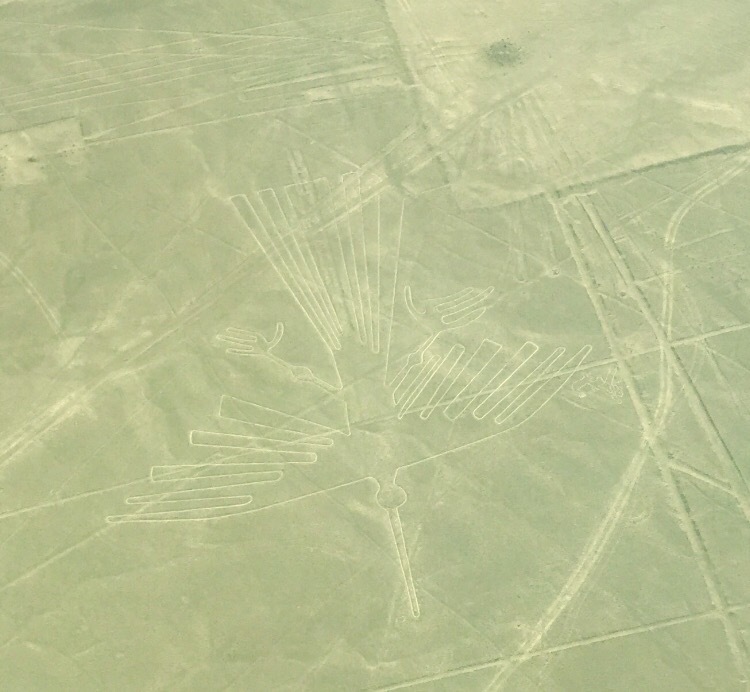 Before I go into detail about these two stops on my trip, I want to let you know that I was really disappointed by Huacachina – a place I had really high hopes for – and I was really impressed by Nasca – previously only known to me vaguely because of the world famous Nasca lines. This post will be one of contrasts, the good and the bad (but not the ugly). I don’t want to dwell on the negative too much but I would like to share some of the lessons I learned. 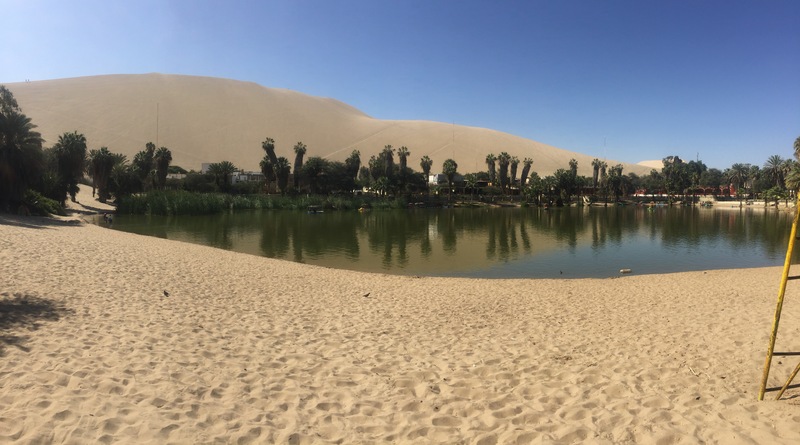 After three days in Lima, I caught a six hour bus to Ica, the nearest city to Huacachina. 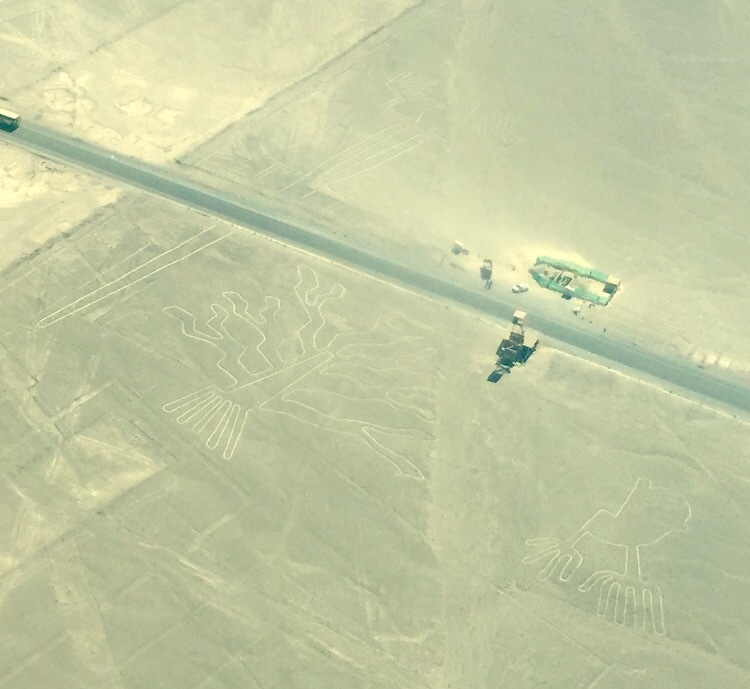 I decided to stay in Ica firstly because the buses stop there and it would be easier to get to a hostel than taking a mototaxi to Huacachina in the dark. And secondly, because I thought it would be easier for me to look at the options for sandboarding and buggy ride trips in town. A few weeks ago someone showed me a video of their friend skiing down the sand dunes and I really wanted to try this. 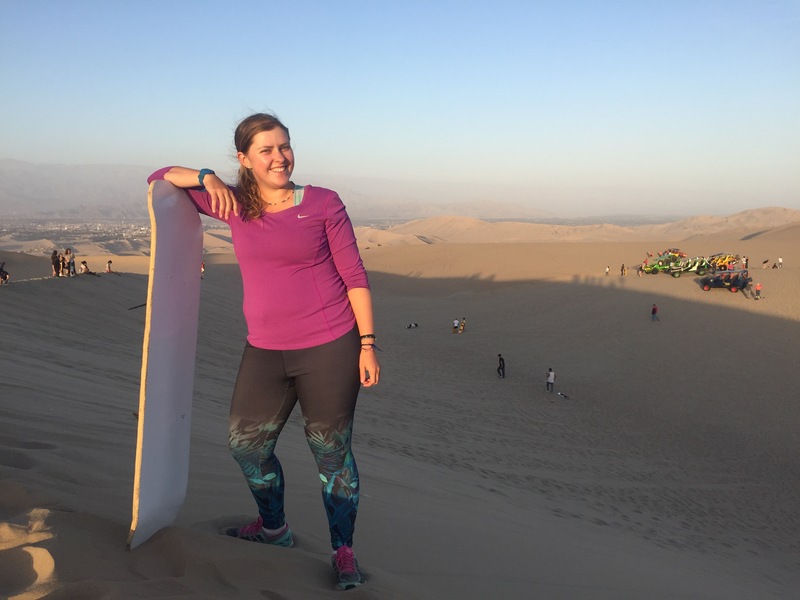 I did ask one tour company in town but I soon gave up and booked the standard trip with my hostel – later realising that it was much better to speak to the tour operators in Huacachina instead of Ica. I also let the language barrier get to me, instead of sticking to what I really wanted to do, I gave in because I didn’t want to struggle in Spanish, even though skiing is the same in Spanish. This was a big lesson for me because as it turned out the trip I booked wasn’t very good and certainly not good value. 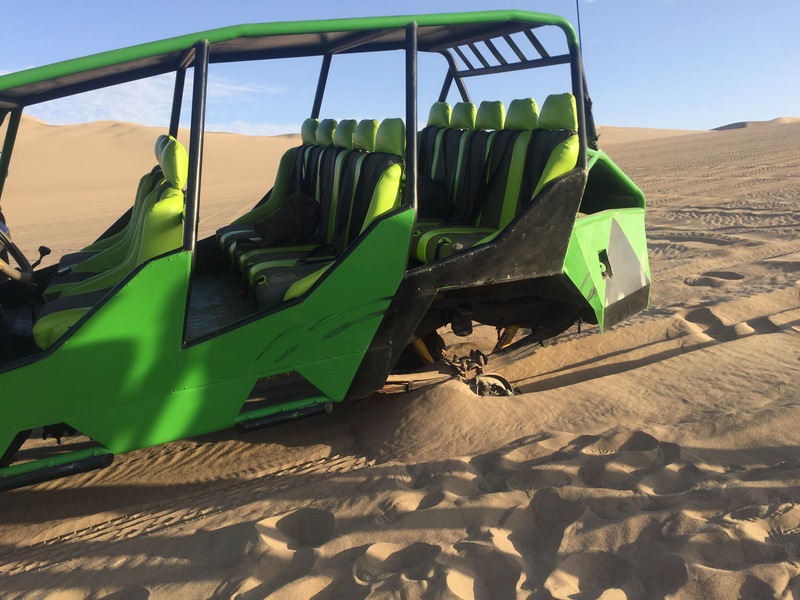 So the trip costs 60 soles which is about £15 (this probably should have been a giveaway) for a 2 hour buggy ride and sandboarding combined trip (this is a pretty standard package). The hostel minibus drops you in Huacachina two hours before, a nice idea if I had known about this free time I wouldn’t have rushed to eat my lunch before. Here I had some time to take picture of the amazing sand dunes and the oasis in the middle of the small town. It’s a great view and probably the best part of the trip. When I went to the tour operator for the start of our trip we had to wait quite a long time for a group who were running late – the first occasion of time lost from our 2 hours. Then the tour operators spent some time rearranging everyone to balance out the buggies but finally we were off. The buggy ride was exciting and our driver was zooming up and down the dunes – at this point I was having a pretty good time. We stopped to take loads of pictures and the sand dunes looked amazing. We hopped back in and after a quick run up went off a huge dune – this is where the problem started. It was like something out of a comedy sketch. 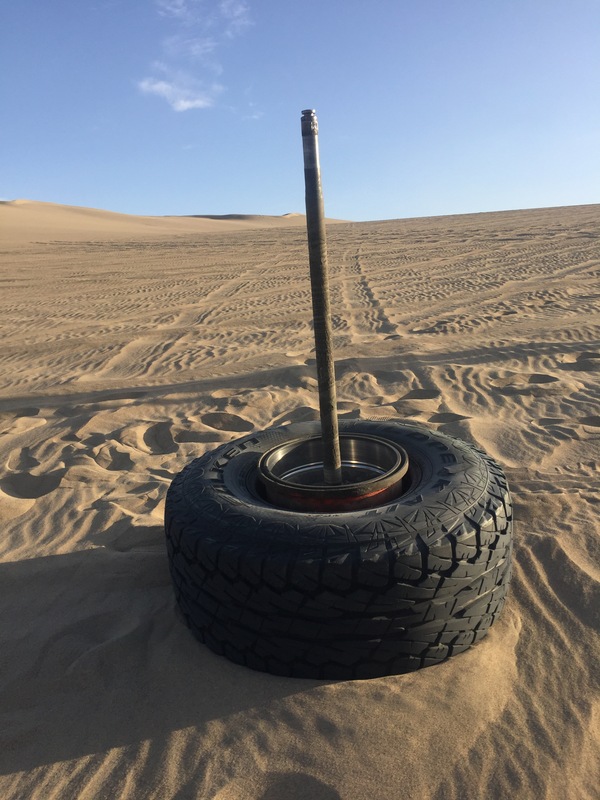 There was a loud bang and the driver turned his head to the left to see if the wheel had gone flat and at the same time the wheel and the axel bounced passed the buggy on the right. Not an easy fix. The driver rung for another buggy to come pick us up and this meant more waiting and more time wasted. At the time it felt like it would be a funny story to tell but not so much after. We could see a group nearby taking turns to sandboard down a huge dune and I was excited to get a go myself. When the replacement finally came we hopped in, went over a few more dunes before stopping at the top of a beginner slope to collect our boards. Most people go down lying on the board head first unless they know how to stand up. I laid down for my first go and it was really fun. On my second I wanted to try standing up even though I had no idea what to do. I lasted about two seconds before slipping onto my bottom. I slid most of the way down. But I was ready to go again and master the technique. Disappointingly, just like that our time was up and we were rushed back into the buggy to see the sunset from a viewpoint. I didn’t want to see the sunset, I wanted to sandboard. I wasn’t quite aware that it was the end, I thought we might get another go after the sunset but no. I got some great pictures but I felt like a phoney to say that I had been sandboarding when it only lasted for 10 minutes. 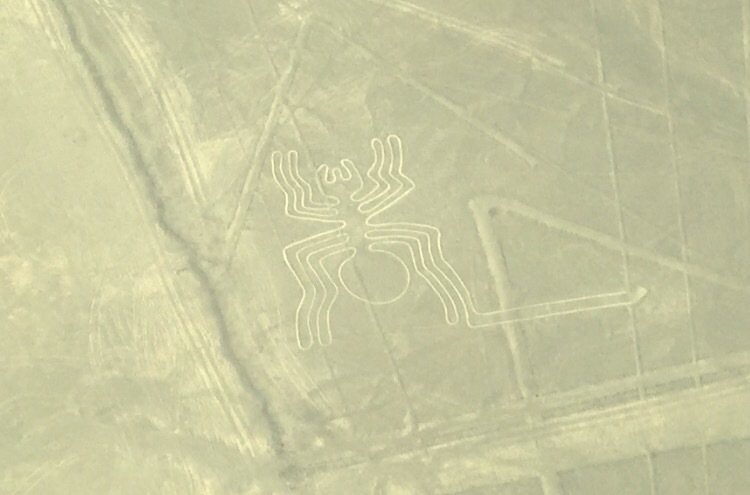 I was definitely disappointed by the trip to Hucachina and although I didn’t stick to my initial idea of independently finding a tour, I don’t feel like it was my fault that I had a bad time. What makes it even more annoying is that I spoke to a couple recently who had stayed at the same hostel as me and managed to go skiing with help from the hostel staff! 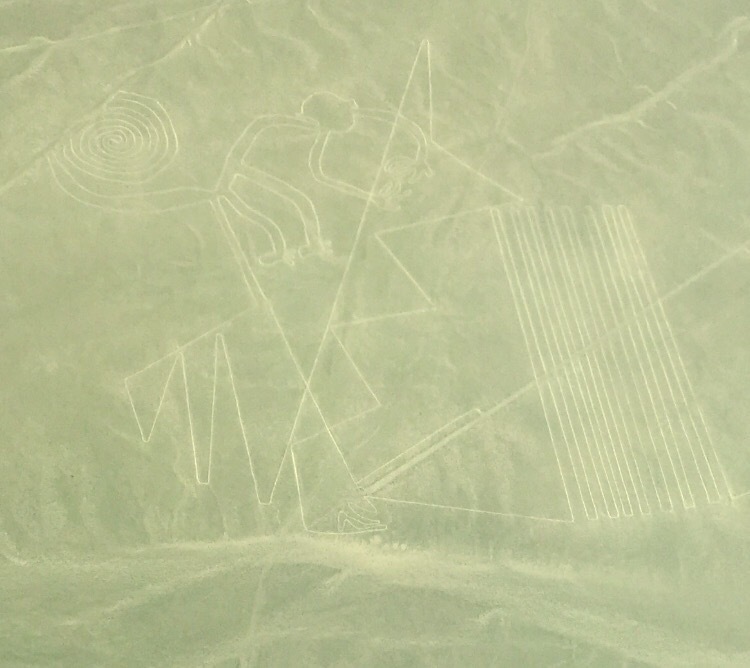 Later in my trip I’m planning to go to the Atacama desert in Chile so hopefully I’ll get another chance to try and master the standing technique. My trip to Nasca started much better with a 10 soles (£2.50) bus along the coast. 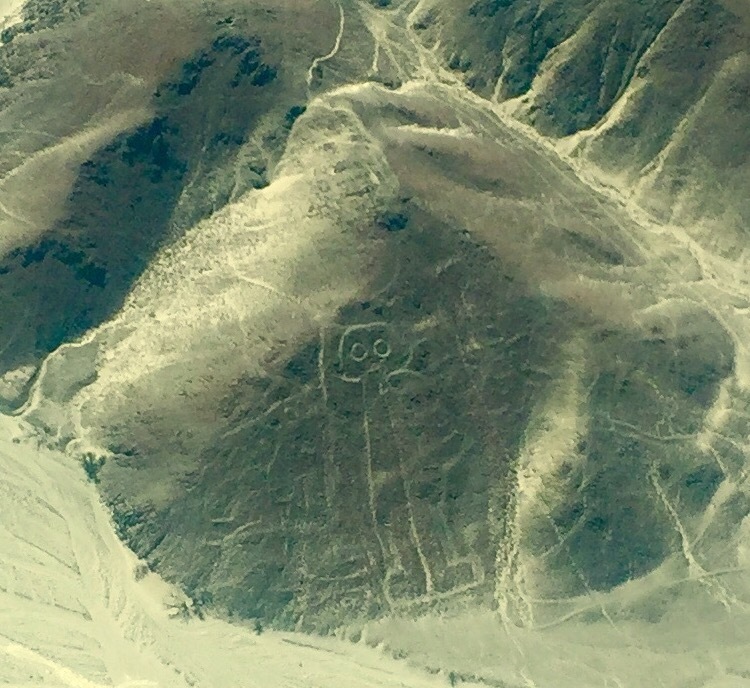 I arrived in Nasca at lunch time and although I got massively overcharged by the taxi to my hostel (rookie error forgetting to ask the price before the journey) I was excited to book my flight over the Nasca lines as soon as possible. The host at my hostel in Nasca, Nanasqa Hostel, was great! A super accommodating, 30 something, local guy who was still building and improving sections of the hostel. He booked the flights for me straightaway and even ordered me a takeaway lunch to the hostel – a delicious quarter of chicken and chips. 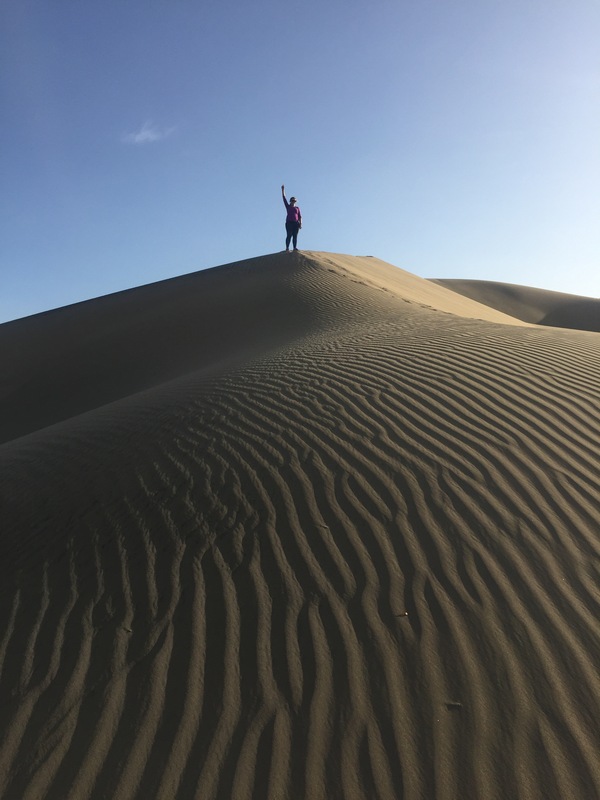 In the afternoon there was a trip on offer at the hostel and because I didn’t want to just have spent the day travelling, and I was still annoyed about Huachina, I signed up. 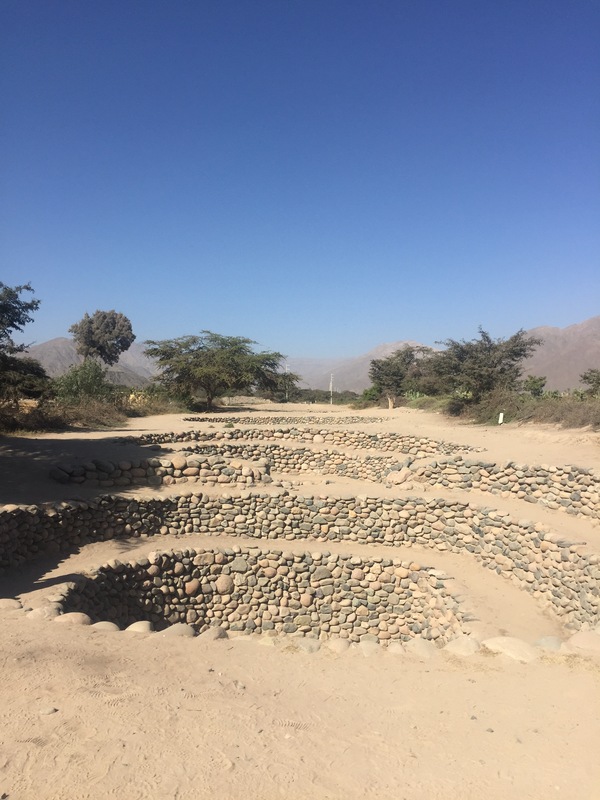 It included tour of the Cantallo aqueducts, the pyramids of Cahuachi and the Cemetery of Chauchilla. If I’m honest I didn’t know much about what I had signed up for but I was glad to get out of the hostel doing something – and they were mentioned in the Lonely Planet guide. Our tour guide turned out to be our host’s father who drives you to the sights, says some information in Spanish and waits in the car for you to have a look around. Luckily there were two Venezuelans in the group who could translate for me and even without the translations the sights were really interesting. And without a story behind them I was free to invent my own, imagining the people of the time building and using the aqueduct, trading and doing business in the pyramids and preparing the burials at the tombs. 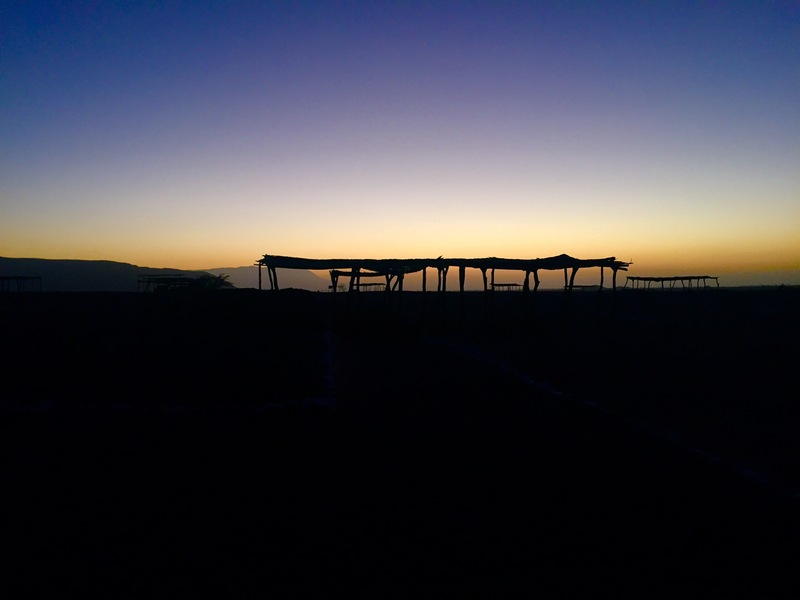 By the time we finished the five hour tour, a beautiful blue and orange sunset led us back to the hostel across the bumpy desert track – the drive was as good as the tour. The pyramids and tombs were completely in the middle of nowhere so there’s no way I would have been able to get to either on my own. This trip was a great example of expecting nothing and seeing loads of really intriguing ancient sights instead. 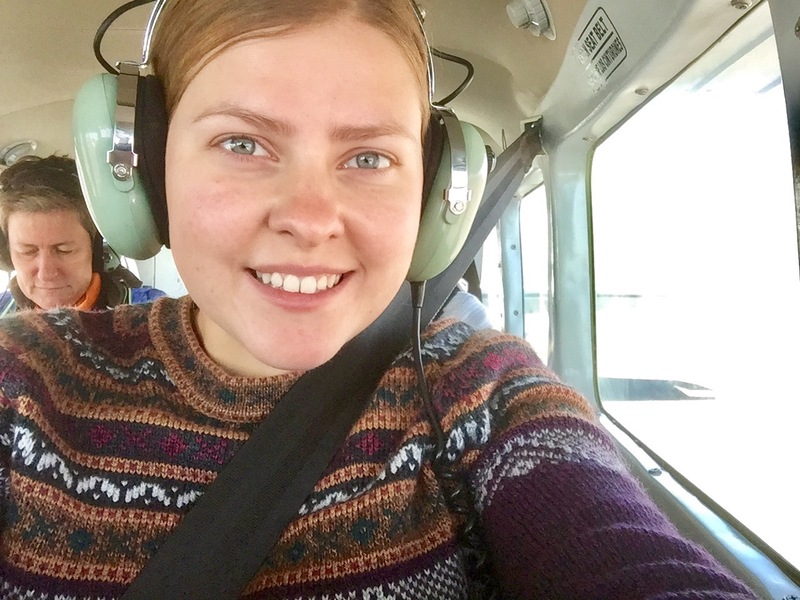 The next day I was up early for my flight and despite a slight hiccup where I needed to transfer some money to my bank card to pay for the flight on the sketchy airport WiFi, it went without a hitch. 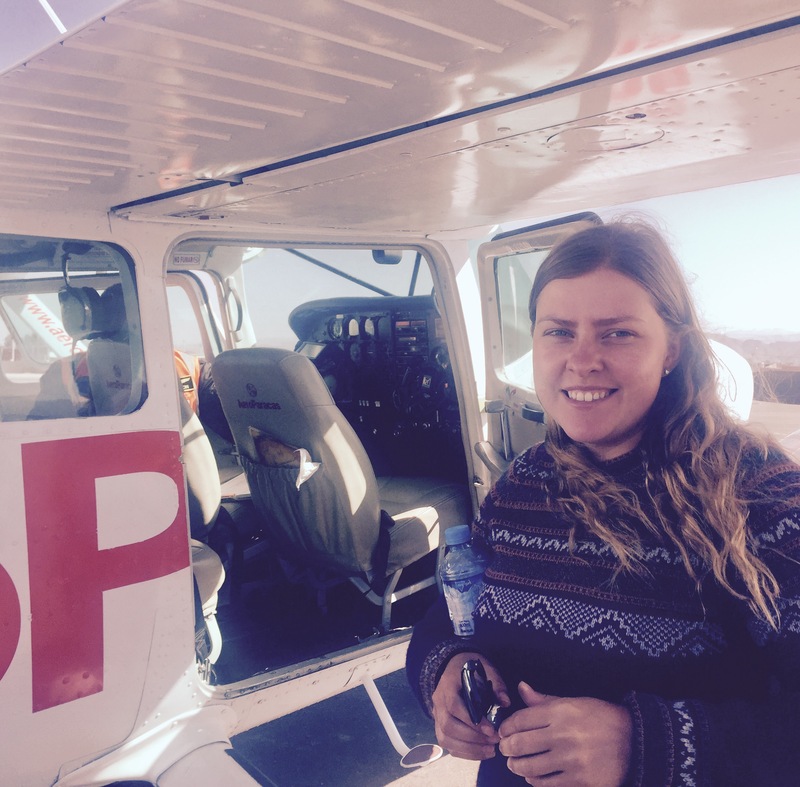 I paid $90 for the flight and airport transfer in total. Due to safety concerns I was happy to be going with the most established company flying even if it wasn’t the cheapest. 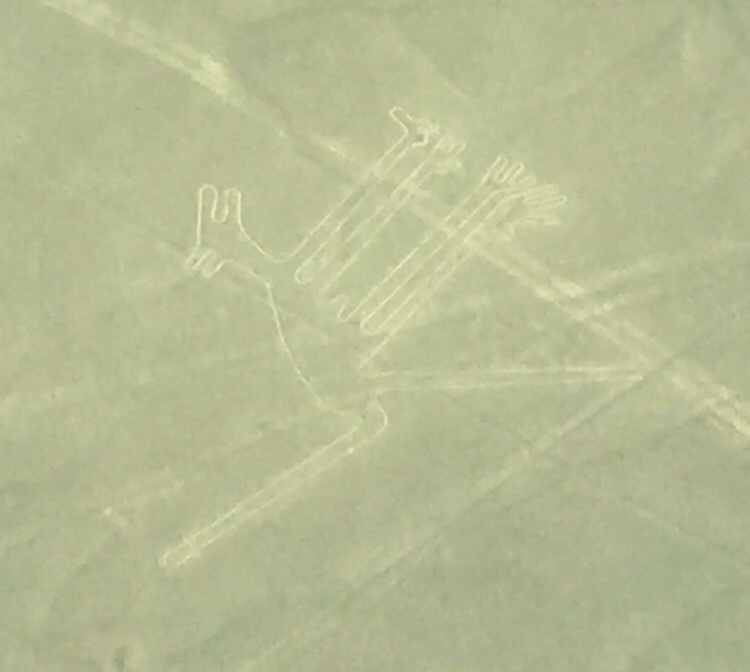 The flight lasts just 30 minutes but you get to see 14 signs and some extras that the pilot points out. The plane looked the same as the small plane I’d taken in Venezuela to get to Canaima national park so I wasn’t worried about the plane sickness. This time we had headphones where you can hear one of pilot’s instructions as he points out the lines and figures. 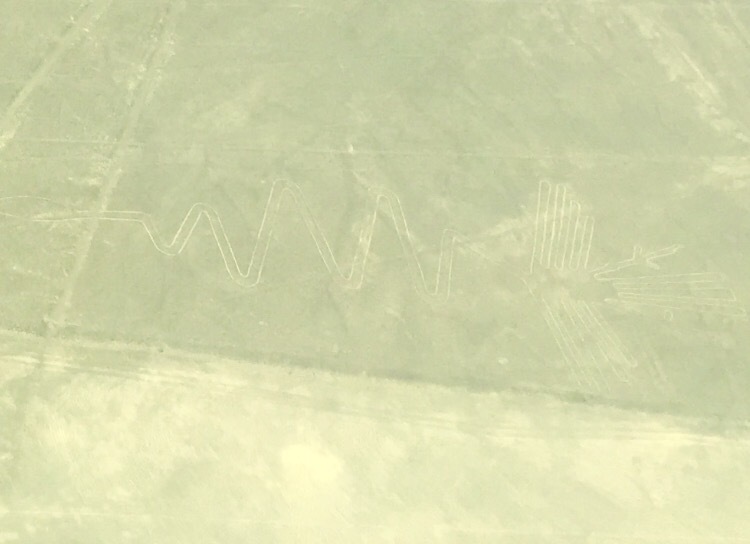 Each figure is circled twice so both sides of the plane can take pictures which is great – I didn’t want to miss a single one. When the flight was over I was sad because it had been so much fun to tip right over in the small plane and see all the amazing markings with my own eyes instead of photographs. Although it’s a super touristy event, I would 100% recommend it. 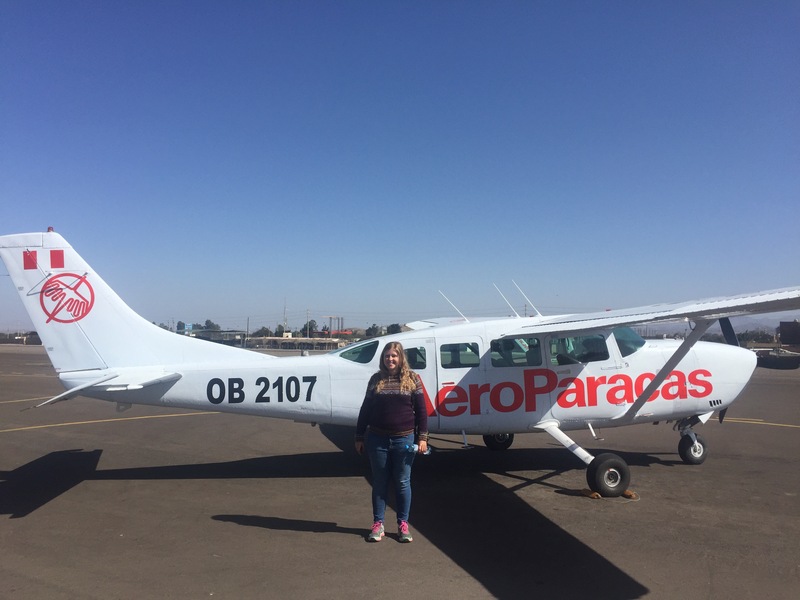 I flew with AeroParacass and they were really good. Until you see it for yourself you can’t truly understand how fascinating the lines truly are and a big thank you to my Uncle Phil who suggested adding it to my list! Next I’m going to Arequipa, Peru’s second largest city, before doing the classic tourist 2 day trek in Colca Canyon – it’s twice as deep as the Grand Canyon and the second deepest in the world (so my guide book says). Expect amazing pictures! Well done, Sammy! Another great blog entry, we are loving them!